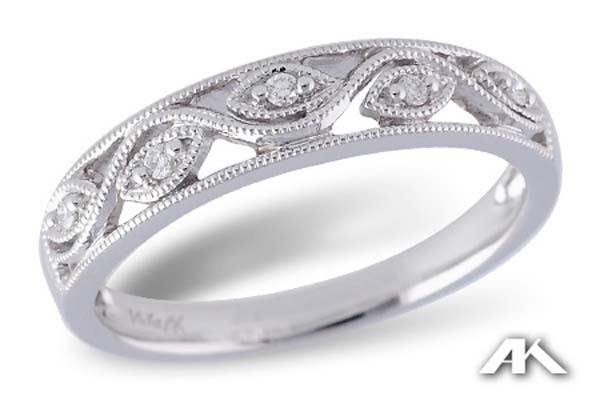 Five leaves are set within a curving line of white gold. 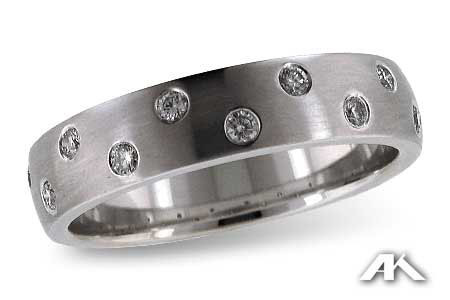 This ring is pierced and features delicate milgrain details on the top portion of the ring. 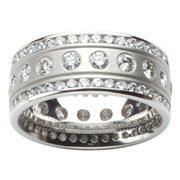 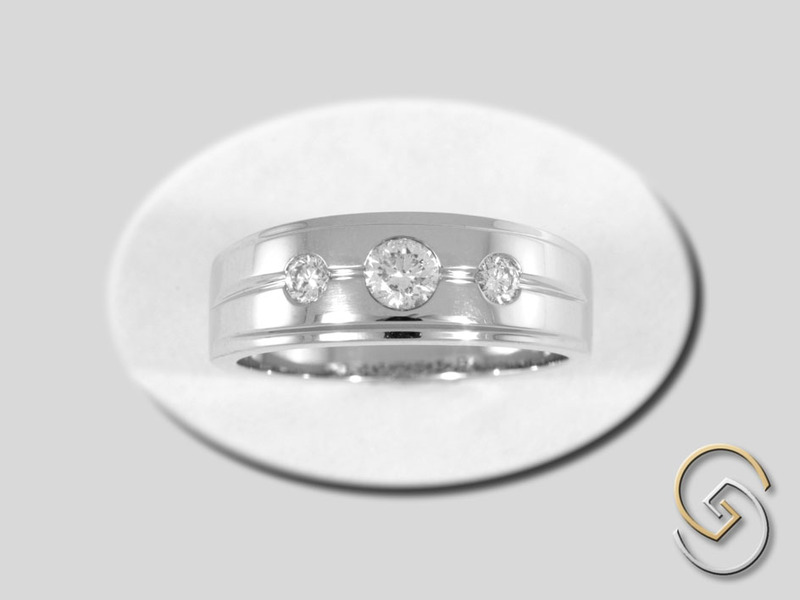 This makes a wonderful wedding band, fashion ring, or a stackable ring.